An unofficial member of our team is a young cat, which has adopted the crew working in the palace as a source of entertainment and (mostly) food. He lives in the excavation house that was built next to the palace by the University of Pennsylvania Expedition in the 1970’s, and was later much enlarged by the French (which is why everyone calls it the French House). The cat generally saunters out to greet us in the morning and then again when we have a bunch break at 10:00 a.m., when he rather impatiently demands any uneaten hard- boiled eggs. 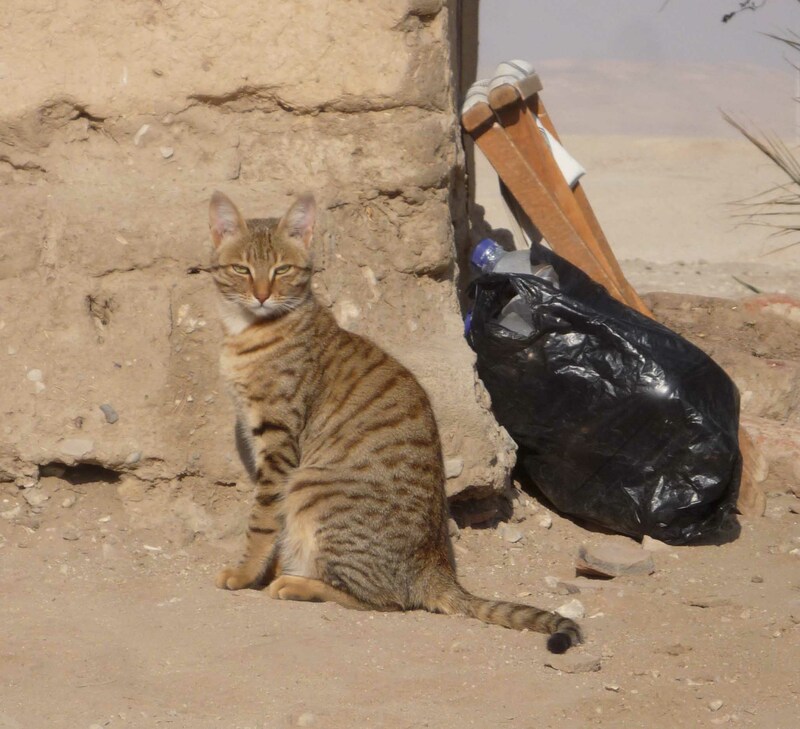 The rest of his day is spent chasing the birds that flit around the site, lolling under the shade of a palm tree or sidling up to people, particularly the ones who are either allergic to, or not very fond of cats! 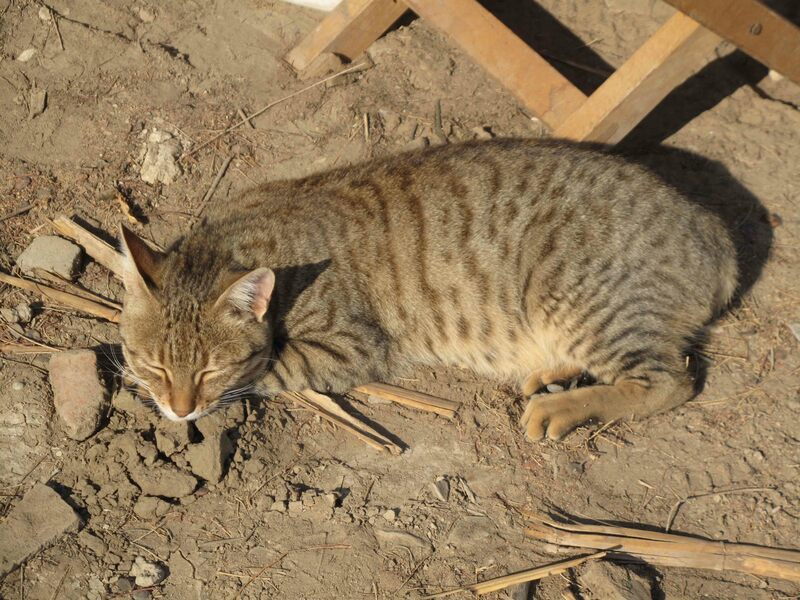 Our small friend has a striped ‘tabby’ coat, exactly like the ancient Egyptian representations of cats. The cat was first domesticated in the ancient Middle East and was particularly revered in pharaonic Egypt. The ancient Egyptian name for cat was mau and it was a pet frequently represented in tombs and temples. 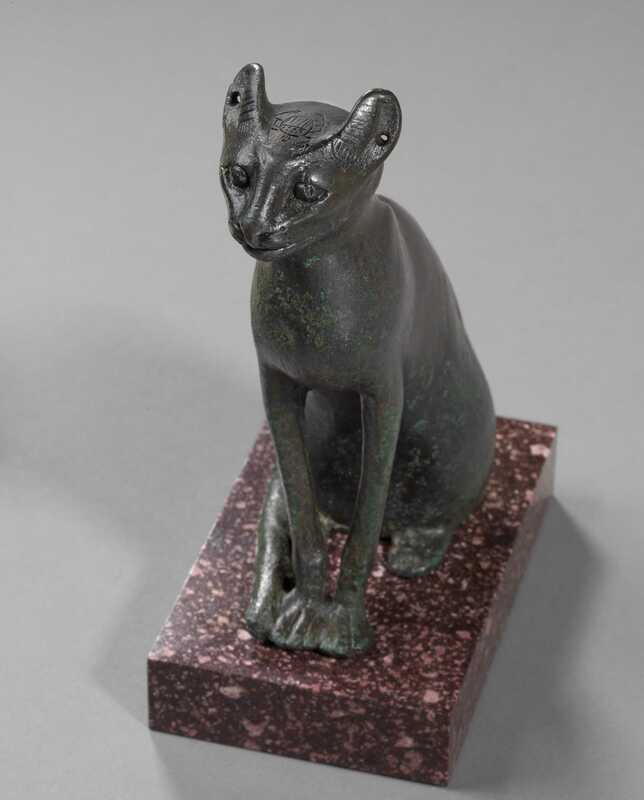 Because of their value in catching snakes and rodents, cats were an integral part of households and the cat goddess, Bastet, became associated with the protection of the home and of the women who lived there. 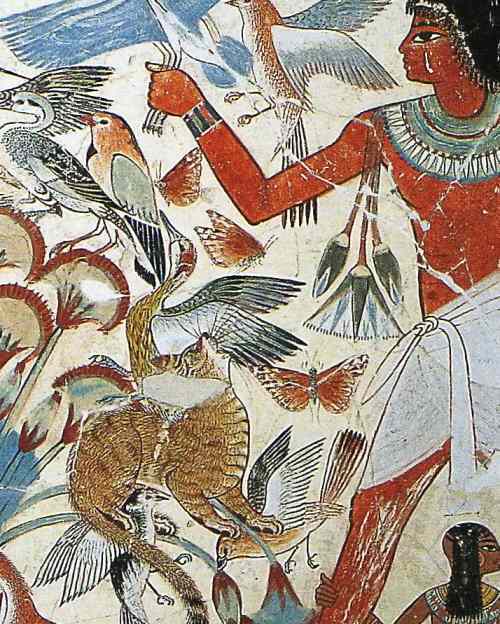 A painting from the tomb of Nebamun, now in the British Museum showing a tabby cat catching birds. Bastet was worshipped throughout Egypt, but had a particularly important cult center at the temple of Bubastis in the Delta. There, and at many sacred sites all over Egypt, cat mummies were offered as gifts to the goddess by pilgrims, hoping for divine favor. Depending on the wealth of the owner, the cat could be simply wrapped in linen or buried in a bronze casket adorned with a sculpture of the sacred feline. given as a gift by Charlie Chaplin to his wife, Paulette Goddard.